In the business of marketing, words matter. Sadly, marketers disagree over basic branding terminology. Through overuse, the terms ‘mission’, ‘vision’, ‘value proposition’, ‘mantra’, ‘essence’, and ‘identity’ lack precise definition. The confusion makes strategic thinking about brands more difficult and undermines marketers’ credibility. If marketers can’t agree on basic terms and frameworks, how serious can the business of brand strategy be? 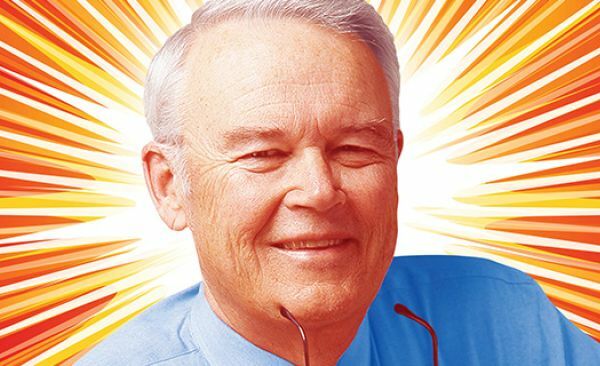 In the 1990‘s, UC Berkeley Haas School of Business Professor, David Aaker (pictured), introduced the concept of brand as an asset to be managed for the benefit of the corporation, thus wresting responsibility for ‘branding’ from ad agencies and putting it in the hands of marketing managers. Since then, many agencies, brand consultants and academics have built on Aaker’s foundation, making their own contributions to the art and science of branding. Years of adaptation, melding and cherry picking have resulted in a world where marketers have no consistent frameworks or proven models from which to work. Our experience teaching brand strategy to MBA and undergraduate marketing students and working with brand strategy clients tells us the answer is to integrate much of the work that has been done into a coherent framework, grounded in common principles, terms and frameworks. The work begins with understanding the necessity of Value Proposition, Brand Identity and Positioning. Some elements of a brand are (or should be) relatively constant while others need to adapt to a dynamic marketplace. As a result, Value Proposition, Brand Identity and Positioning are all essential components of a comprehensive brand platform. Of the three components, the most constant is the Value Proposition. A Value Proposition articulates what is most enduring about a brand, its enduring benefit across all audiences. The statement speaks to higher-order outcomes and results the brand aspires to deliver in the future. Value Proposition is the brand’s North Star that informs everything from recruiting to the product development roadmap. Positioning is the most adaptable of the three elements. The concept of ‘Positioning’ is perhaps the best understood element as well, thanks to the popularity of the ‘classic’ format which specifies the target, frame of reference and key benefit. The reason for Positioning’s adaptability lies in frame of reference,’ which defines the alternatives available to customers and the context in which the brand competes. Competitive context and target audience change, sometimes quickly, as a category matures. As competitive offerings change and the brand’s offering evolves, positionings must also change. Additionally, Positioning is always specific to a target audience, and targets change over time. Consequently, Positionings need to evolve to reflect changes in the target audience, the competitive alternatives and the strategic priorities of the brand. Value Proposition and Positioning alone are inadequate to define a multi-faceted brand with internal and external stakeholders. A powerful Positioning enables consistent, short-term communications, but is limited to just one or two ideas. Value Proposition, aspirational, does not speak to a higher order purpose or mission or explain how a brand will connect emotionally with the values, culture and needs of its constituencies, both internal and external. The Brand Identity fills in these missing pieces. Brand Identity is more enduring than Positioning, and more adaptable and multi-faceted than Value Proposition. It articulates how marketers wish customers and others to view the brand in the foreseeable future. Our Brand Identity prism model is based on work by brand strategist and INSEAD professor, Jean-Noel Kapferer. The left side is internally focused, while the right side explains how the brand connects externally, with customers, members, investors and other stakeholders. Each element provides a crucial guide to developing the brand’s message, visual and verbal identity, corporate culture, and more. It also describes the brand’s Noble Purpose, its reason for existence beyond staying in business and paying employees. Purpose is becoming an essential aspect of brand differentiation, and it is not addressed by Positioning or Value Proposition. Together, Value Proposition, Brand Identity and Positioning provide a complete brand platform that can serve as a roadmap for brand development over a 3-5 year time horizon. Each element should be revisited periodically, with Positioning revisited most frequently, at least once a year. Positioning is a tool for helping the brand move toward the desired Brand Identity, and multiple Positionings may be required to achieve the Identity. While the point of Positioning is differentiation, Value Proposition and Brand Identity can also be differentiating. Our experience with these models has proven them to be relevant to B2C, B2B and non-profit organizations. We have applied them successfully to clients ranging from grocery products to high tech services. 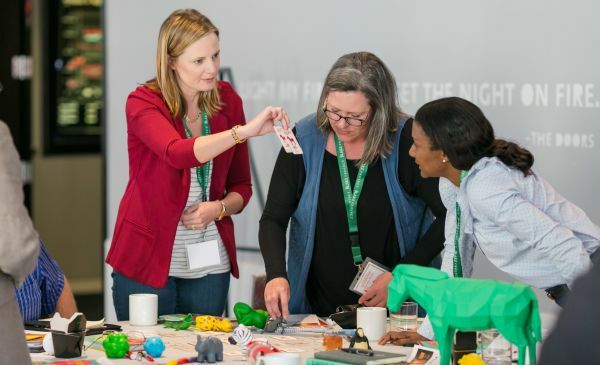 When combined with clear business objectives, a careful brand audit, and a profound understanding of the target, these tools provide a powerful guide for brand development. 1- In my opinion, a good value proposition relies on a good brand positioning. The brand positioning change will cause the value proposition to change consequently. I wonder if the value proposition is really the most constant element of the trinity. Hope to hear your points. 2- What are the priorities of those 3 elements ? We must approach which one first ? Is that the brand positioning, then the value proposition, then the brand identity ?